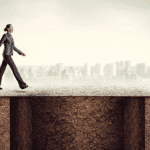 So why is accountability so important to organizational performance and individual success? 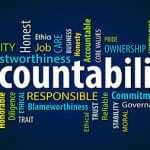 How you do accountability in your daily work essentially defines the working relationships fundamental to every activity that occurs within your organization. Accountability is the guiding principle that defines how we make commitments to one another, how we measure and report our progress, how we interact when things go wrong, how much ownership we take to get things done… It is, in essence, the nerve center that runs throughout every part of the organization, through every working relationship to every member of every team. In many organizations, accountability is often done in a way that can actually sabotage your ability to get results. When we start working with a client, we often hear people throughout the organization describe accountability as something that happens to them when things go wrong, when it should be something they do to themselves to ensure results and success. How you go about creating accountability matters. Often, when done the wrong way, it leads to what we call the Accountability Paradox: that is, the harder you try to create accountability, the less accountable people actually become. This happens because people are reacting to the manner in which accountability is implemented. Accountability, done effectively, is a skill you can develop just like any other skill. While it is not a difficult skill to acquire and hone, it does require a high degree of conscious effort. When you do it right, you’ll also find it the fastest way to improve morale. A Conference Board survey of American workers revealed that over half the American workforce does not feel engaged in their work. The results of this survey reported job satisfaction at 45 percent, its lowest level since 1987. In addition, 64 percent of employees under age twenty-five expressed dissatisfaction with their jobs. Another poll found that over half of those who left their employer, left because they felt their work environment was a dictatorship. The real power of accountability comes when the focus is on taking greater personal accountability for achieving results. That personal accountability manifests itself as greater personal ownership, buy-in, investment and engagement. When you take personal accountability you own it. 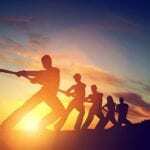 You tell yourself, “this is mine, I’ve got the ball.” You ask yourself, “what else can I do to make progress, overcome obstacles and achieve the result?” You don’t waste time blaming others or waiting for someone else to solve your problems, you actively engage and deeply pursue solutions. Accountability, correctly understood and effectively applied, produces results. And with those results comes a level of personal satisfaction that can be achieved, in no other way. To learn more about the Three Tracks To Creating Greater Accountability visit our website at www.partnersinleadership.com, and join our Accountability Community for access to free resources that will help you get accountability right.